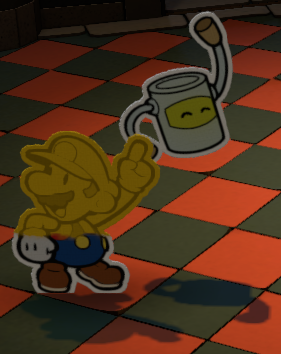 Rhythm is a status effect in Paper Mario: Color Splash, inflicted only by yellow paint in the battle with Roy. While Mario is in this state, he cannot use cards with blue backgrounds. Like all other status effects exclusive to said battle, the effect is temporary and only lasts one turn. This page was last edited on August 16, 2018, at 06:59.